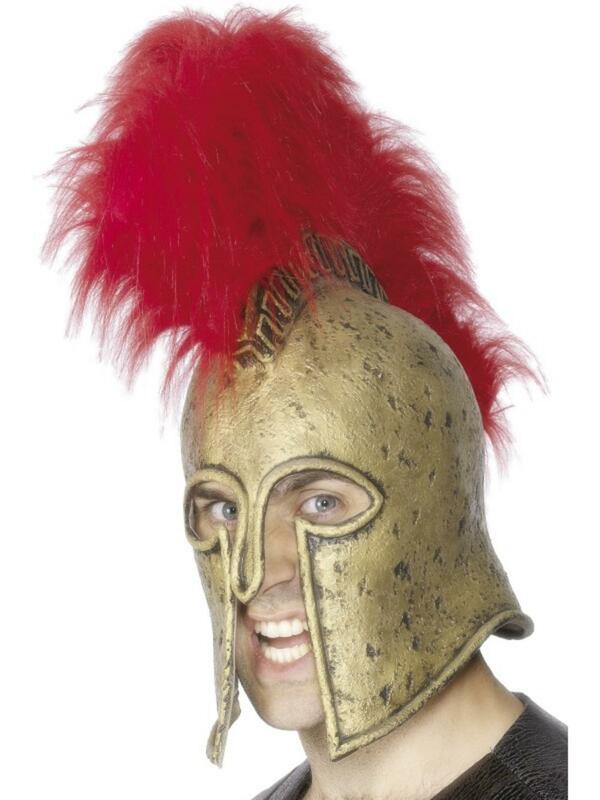 Transform yourself into an ancient warrior by wearing this fabulous Spartan helmet, perfect for wearing when dressing as a Spartan warrior or a Roman centurion to a fancy dress party. The fabulous helmet is made from a high quality yet light weight gold coloured rubber and decorated with a rustic style print giving the helmet an authentic ancient look. Completing the helmet is a large red plume making this a really eye catching accessory. Perfect for wearing to a Roman or Spartan themed fancy dress party, and a very popular choice for wearing alongside friends to a Stag party. Gold coloured Spartan helmet with red plume.